Cindy is a mediator and investigator with ADR Chambers. Cindy mediates long term disability, personal injury, employment, property and casualty and reinsurance disputes. Her areas of expertise include insurance, employment, workplace, franchise and commercial disputes. Cindy has considerable background in claims management, people management, career coaching and consulting experience, to help people successfully resolve their disputes. During her corporate career, Cindy held the position of Vice President, Life and Health Claims for a major insurer and has extensive knowledge of LTD and other insurance issues and processes. 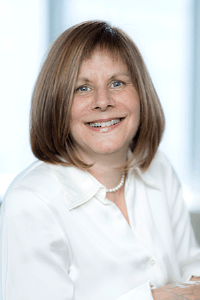 From 2008 to 2014, she served as a chair for the Insurance Section of the ADR Institute of Ontario and volunteered as a community mediator for Scarborough Conflict Resolution Service. Cindy has a Bachelor of Arts from the University of Toronto and a Certificate in Advanced Dispute Resolution from York University. She also has a certificate from the ADR Institute of Ontario in Civil Procedure and training from St. Stephen’s Community House in Interpersonal Mediation. Cindy serves on the Board of the Women’s Centre of York Region.